The National Security Archive recently updated its listing of previously released reports on agencies’ compliance with the FOIA with more than two dozen various Inspector General reports. The Archive is publishing the reports in an effort to assist the FOIA Advisory Committee’s FOIA Oversight and Accountability Subcommittee, which Archive FOIA Project Director Nate Jones sits on, identify what current authorities for oversight exist, and areas where there are opportunities for additional oversight. The subcommittee continues to encourage members of the public to submit reports that the subcommittee might have missed, and help studying the content of the reports. Suggestions of additional documents and FOIA Oversight and Accountability strategies may be submitted to https://ogis.archives.gov/foia-advisory-committee/contact-us-submit-comments.htm. The Office of the Director of National Intelligence (ODNI) recently posted an official statement on the National Security Agency’s (NSA) retention of phone data collected under Section 215 of the USA Patriot Act. The statement follows the June passing of the USA Freedom Act, which, among other things, ended the NSA’s bulk collection of American phone records, instead ordering them to be stored with private phone companies that the NSA will need to obtain a court order to retrieve. After the law’s passage, “the Obama administration gained approval from the Foreign Intelligence Surveillance Court to keep the old bulk phone records program going” during the stipulated six month transition period. ODNI’s latest statement laid out that, pursuant to the USA Freedom Act, NSA analysts “will no longer be permitted to search a database holding five years of Americans’ domestic calling records after Nov. 29.” NSA technicians will be able to view the historic phone records for three additional months for “data integrity” purposes. Prior to this week’s announcement it remained unclear what the NSA would do with the database of historic phone records it had amassed before the program was upended. 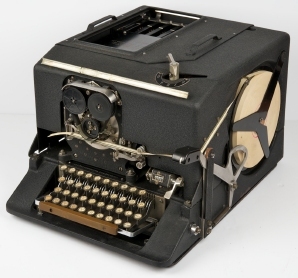 The SIGABA encryption machine built by Friedman and his staff. The Department of Homeland Security (DHS) released documents in response to a FOIA request filed by The Intercept this week that show the department monitored the Black Lives Matter movement since former Ferguson, MO police officer Darren Wilson fatally shot African American teenager Michael Brown last year. Documents show “DHS circulated information on a nationwide series of silent vigils and a DHS-funded agency planned to monitor a funk music parade and a walk to end breast cancer in the nation’s capital,” begging obvious questions about whether or not this surveillance infringes on First Amendment rights. Last week Vice’s Jason Leopold reported, also thanks to documents obtained through the FOIA, that DHS attempted to preemptively stymie the release of any protest surveillance documents concerning the announcement of whether or not Wilson would be indicted because of concerns the documents would be requested under the FOIA. Pictures obtained by FOIA of 9/11 photos. A 38-page Department of Defense review found “systemic problems with irradiation and testing procedures” for an Army laboratory’s handling of anthrax. The review was ordered after reports “that Dugway Proving Ground in Utah inadvertently shipped live samples of the deadly bacteria that reached at least 86 commercial and government laboratories in seven foreign countries, 20 U.S. states and the District of Columbia.” While the review determined serious problems with Dugway’s procedures, the root cause of the inadvertent distribution remains unknown. Jonathan Pollard, a former Navy intelligence analyst convicted of spying for Israel, will be released after serving 30 years of a life-long prison sentence this November. 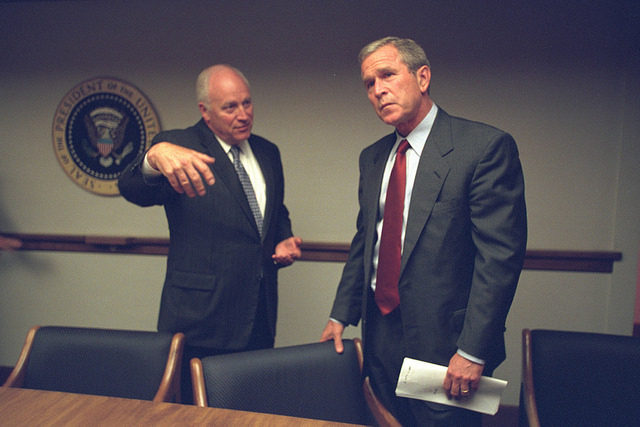 Pollard’s supporters have long-petitioned successive presidents for Pollard’s release (Clinton only dropped the idea after CIA director George Tenet threatened to resign if he did), but the move remained strongly opposed by the intelligence community. Pollard is currently being released because, “At the time that Mr. Pollard was sentenced, federal law required that he be reviewed for parole after he had served 30 years of his life sentence.” A 2013 Archive posting details what secrets Israel asked Pollard to steal, and includes a declassified 1987 CIA damage assessment of Pollard’s spying. The CIA assessment notes the specific subjects Pollard’s Israeli handlers wanted information on – “primarily for nuclear, military and technical information on the Arab states, Pakistan, and the Soviet Union – not on the United States.” Late last year Pollard’s Israeli handler, former Mossad agent Rafi Eitan, revealed that Pollard had bungled a pre-arranged escape plan that would have delivered him safely to Israel; Pollard blew his escape when he diverted from the plan and went to the Israeli Embassy in Washington, D.C. seeking asylum, at which point Eitan ordered the embassy to kick Pollard out in an attempt to avoid further complications.